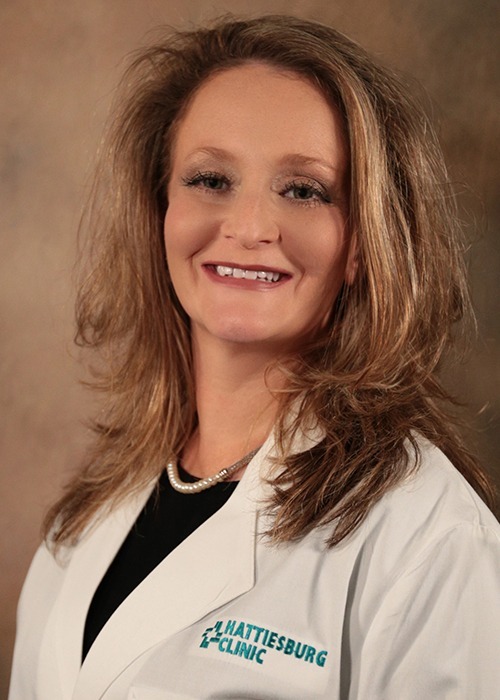 Amy R. Douglas, DNP, CNP, is a certified nurse practitioner at Hattiesburg Clinic Lincoln Road Family Medicine. Douglas received a Bachelor of Science in Nursing from The University of Southern Mississippi. She received a Master of Science in Nursing and a Doctor of Nursing Practice from the University of South Alabama in Mobile, Ala. She also received a Post-Master’s Graduate Certificate as a family nurse practitioner from the University of Massachusetts Boston in Boston, Mass. Douglas is board certified as a family nurse practitioner by the American Nurses Credentialing Center and in women’s health by the National Certification Corporation. She is a member of the American Association of Nurse Practitioners and the Mississippi Association of Nurse Practitioners. At Lincoln Road Family Medicine, Douglas utilizes her more than two decades of experience in health care to deliver comprehensive care to patients 18 years of age and up. Lincoln Road Family Medicine provides comprehensive evaluation and care to meet the complete health needs of every family member, including acute pediatric cases. Our physicians offer a prompt, complete assessment of each patient and obtain and coordinate consultation with other specialists on behalf of the patient as needed. University of South Alabama - Mobile, Ala.